Marilyn offers amazing “value added and life transforming” information and experiences in her class sessions. She is a dynamo in class, never stopping, always teaching. Students “own her” during class time and Marilyn loves every moment! She consistently provides more than expected and has the amazing ability to see into the heart and “growth edge” of each individual student, providing exactly what they need to move to the edge and leap! She causes breakthroughs that are life transforming and go far beyond the quilting topic of the day. 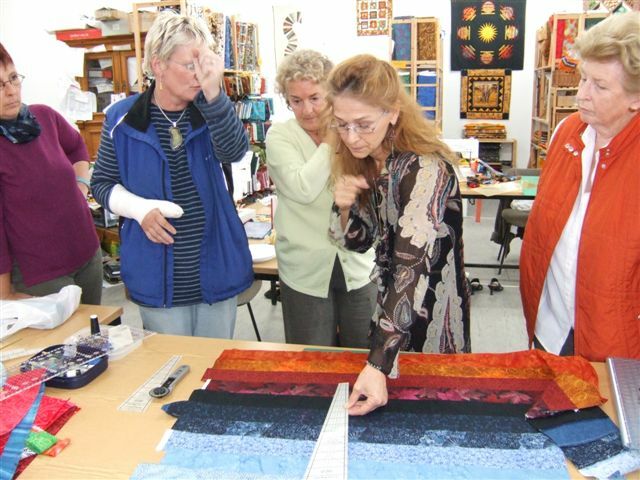 To find out more about Marilyn's quilting classes, click here. If you are interested in having Marilyn come to your location to teach a class, please email Marilyn at info@melrose-inn.com.